KELSO, Wash. – Ralph Clark in 2011 was feeling like it was déjà vu all over again. Ten years earlier he and his wife, Gwen, had closed their manufacturing company after being in business for more than 20 years. Now, he and Gwen were contemplating closing another manufacturing business he had been running for nearly 10 years. Clark reached out to friends, who provide encouragement and support, and then he reached out to the Washington Small Business Development Center (SBDC) and got practical, substantive advising that helped him get his business back on track. The transformation took time, but today Cowlitz Container and Diecutting employs 23 people in its 22,000 square-foot facility on Talley Way, with at least six more employees during peak production periods. Even more important than the spreadsheet, though, is the fact that Clark has business systems and controls in place to avoid boom and bust cycles and instead support sustainable growth. Clark credits his SBDC advisor with providing critical assistance that enabled him to manage growth and build a profitable business. The Washington SBDC is a network of nearly 30 business advisors who work in communities across the state to assist small business owners who want to start, grow, buy or sell a business. SBDC advising is provided at no cost to the business owner and consists of confidential, one-on-one meetings scheduled over a period of weeks, months, or even years. The Washington SBDC is part of a nationwide SBDC program funded through the U.S. Small Business Administration and state and local contributions. Washington State University has been the host of the Washington SBDC since its inception in 1981. Clark’s first meeting with Heidrick lasted more than two hours as he laid out the challenges he was facing. Heidrick told him there were no easy answers, and it would take time. At the end of every meeting, Clark walked away with a list of action items he was determined to complete. “Good things started to happen,” Clark said. Along with specific tasks he needed to complete, Heidrick talked with Clark about working on the business rather than in the business. “Buck’s experience, business knowledge and implementation skills fit perfectly with my style of ownership,” Clark said. That has been the biggest challenge of all. Clark always has enjoyed working with his hands, figuring things out and making things work. A native of Kelso, he first started working at Cowlitz Container and Die-Cutters when he was still in high school (it was called Johnson Die then) and he returned in 1974 as a draftsman. Eventually he left Cowlitz Container to start his own die shop, and the business grew until it was the largest in the Pacific Northwest and the 26th largest in the country. But along with the growth came headaches and stress, so he closed the business in 1999. In 2000, when his old boss at Cowlitz Container asked him to come back as a consultant, he said yes. Though it wasn’t his plan at the time, Clark and his wife ended up buying the business in 2006. At that time, the economy was good and so was the company. But, when the recession hit, Cowlitz Container began feeling the pain. As the name suggests, Cowlitz Container and Diecutting manufacturers boxes and other Container of various shapes and sizes, specializing in short runs of 500 units or fewer. Die cutting is the process of using dies (or blades) to cut materials such as paper, corrugated fiberboard, paperboard, plastic or foam into shapes that can then be formed into containers to fit certain specifications. Generally, Clark said, customers find Cowlitz Container after they’ve been turned down or disappointed by other container manufacturers. When Clark began meeting with Heidrick, along with putting more efficient and effective business systems in place, they also needed to figure out which jobs made money and which jobs lost money, and do more of the former and fewer of the later. “If it’s not contributing to the profitability of the company, we can’t afford to do it,” he said. A few years ago, Clark had an opportunity to buy a new piece of equipment that would allow Cowlitz Container to do work it hadn’t done before. Having fought his way out of debt, Clark wasn’t inclined to go back into debt to purchase the equipment. Still, he discussed the opportunity with Heidrick and did a cost-benefit analysis, including conservative financial projections. Clark ended up taking the calculated risk, and it’s been a big success. Cowlitz Container can now handle flexible foam projects and digital printing on a variety of surfaces. He is now embracing the digital capabilities he once resisted. 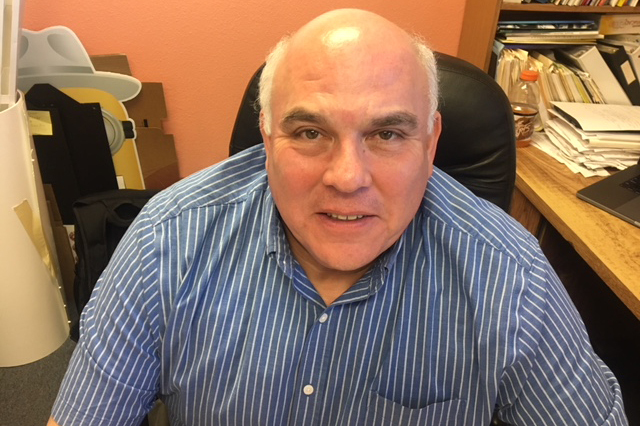 Unlike his first business which he closed rather than sold, Clark said he believes that when he’s ready to retire he’ll be in a good position to find a buyer for Cowlitz Container. He and Gwen will have retirement income and more than 20 good jobs will be saved in Clark County.